Barcelona star Lionel Messi’s brother is facing a new court probe after police discovered a gun and blood all over a boat he claimed to have had an accident in. Matias Messi, 35, told a security guard when he reached a private fishing club near his home in Argentina yesterday that he had cut his face after colliding with a sandbank, DailyMail learnt. But after prosecutors discovered a handgun in the blood-spattered vessel, they ordered police to track him down so he could be formally questioned. He is now said to be facing arrest after officers failed to locate him. 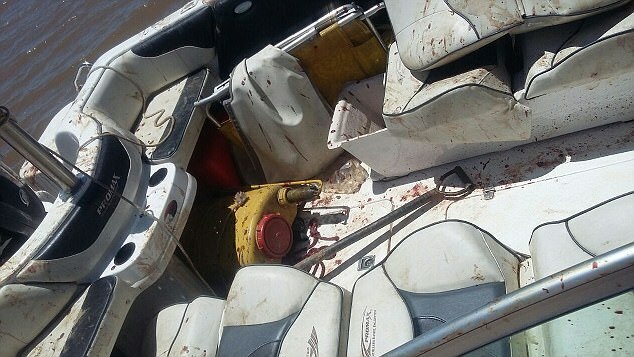 Argentinian news publications published pictures of the blood-covered motor boat, which was left at a fishing club in the town of Fighiera, a 20-minute drive from Matias’s home on a private estate in General Lagos. Prosecutor Jose Luis Caterina applied for an arrest warrant for Matias after a second attempt to locate him failed following the discovery of the .380 handgun. Matias, who cheated death in a car crash three months ago, is said to have driven himself to a health centre for treatment. This is not the first time he has been in trouble with the law. 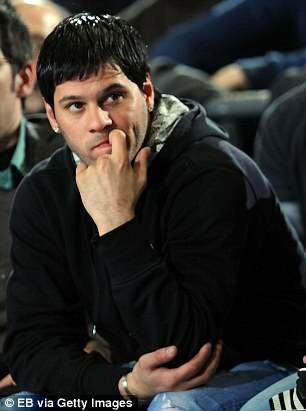 Last year he was instructed to teach football as part of a probation order after being caught with a gun in his car. He was also ordered to stay off drugs and drink and pay a fine of around €470 (£415).